In one of those “this almost never happens” moments, the entire Bowie MMA team of competitors placed, with many receiving gold in Gi and No-Gi competition in their divisions at the 2013 Thanksgiving Throwdown at the Benfield SportsPlex in Severna Park, Maryland. Our competitors won by both points and submissions, with some of the submissions being triangle, kimura, armbar and americana. 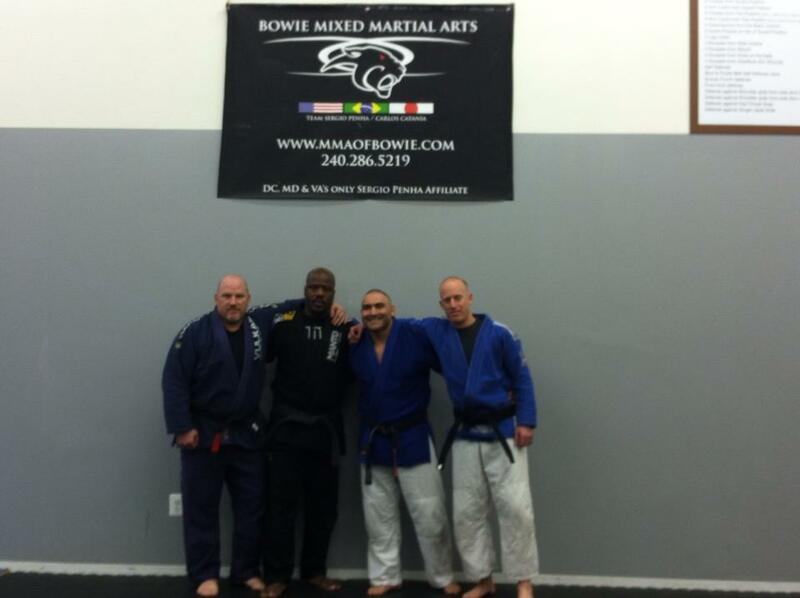 Bowie MMA has 3 resident BJJ Black Belt instructors – Carlos Catania, Charles Cherry and Scott Montier. 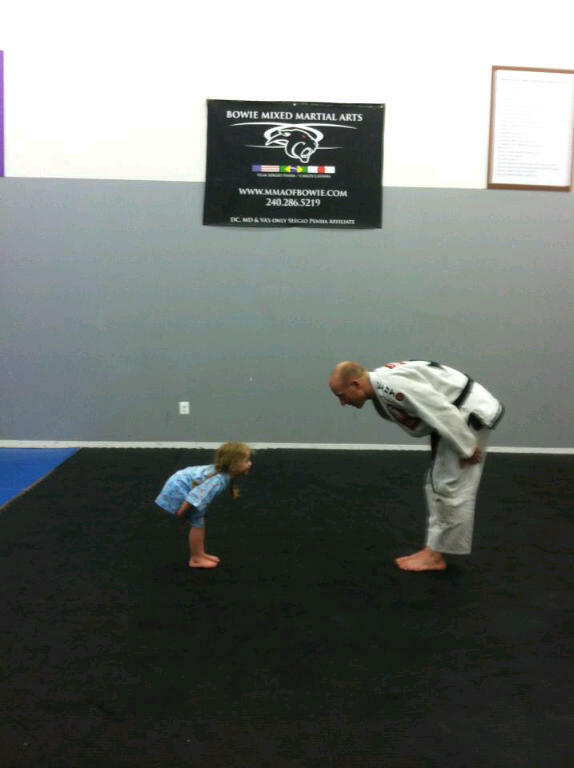 To learn more, check out http://www.MMAofBowie.com and visit our brand new location in Bowie. Bowie MMA Head Coach – Brazilian Jiu Jitsu Black Belt Carlos Catania under BJJ Red Belt Sergio Penha. Watch and listen to the detailed instruction. This is the quality of training and explanation we get in class. Call 240-286-5219 or email for more info. Bowie Mixed Martial Arts offers self defense/personal safety training for women… taught by coaches who have taught law enforcement officers, professional fighters, as well as wives, husbands, fathers and mothers how to stay safe. Would you know what to do in a potentially dangerous situation? You can learn how technique can triumph over strength and size. You can also learn how to stay safe and avoid a confrontation altogether. Most importantly – you will feel safer and more confident.